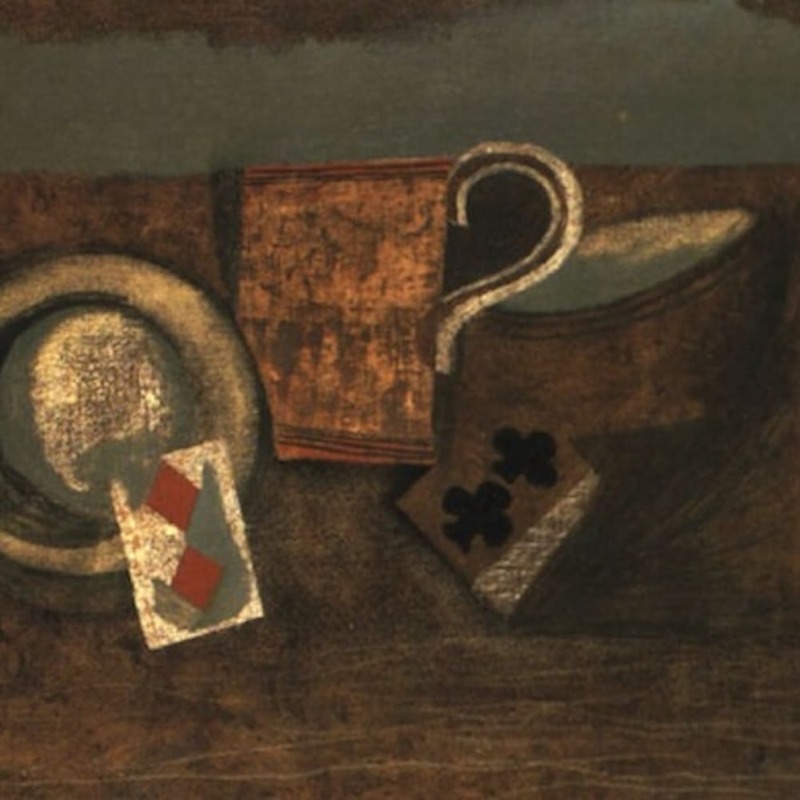 Born in 1894 in Buckinghamshire, Nicholson was the eldest son of the painter William Nicholson. Nicholson’s career as an artist began at the age of ten when the author J. M. Barrie used a drawing by him for a poster advertising a production of Peter Pan. In 1910 Nicholson enrolled at the Slade School of Art. In 1920 he married the artist Winifred Roberts. In 1931 Nicholson moved to London, where he met the artists Henry Moore and Barbara Hepworth, who he married in 1934. Unlike the first Cubists, Picasso and Braque, who painted still lives of fragmented objects from different perspectives presented from one view point, Nicholson painted in the Synthetic Cubist style. Rather than exploring objects from different perspectives, Nicholson almost constructed them on the painted canvas, so that it appeared as if he had mounted a collage by cutting out and gluing blocks of coloured material onto the canvas. He explored this further by making relief’s of circles, rectangles and squares on board or wood. Although Nicholson did not particularly engage with his father’s portraits and landscapes, he admired his still-life paintings. He recalled: “For as long as I can remember my home was full of the most lovely spotted mugs and striped jugs and glass objects which my father had collected”. Nicholson was awarded an OBE in 1968. Retrospective exhibitions of Nicholson’s work were held at the National Gallery, London in 1942 and the Tate Gallery, London in 1955.